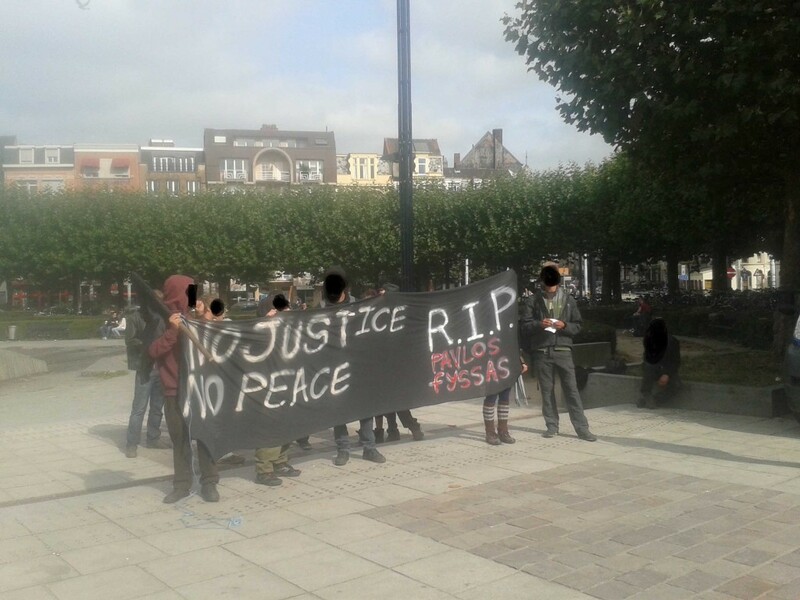 On Saturday the 21st of September there was an unannounced solidarity gathering for the antifascist fighting on the streets in Greece. About 20 people showed up. Such gatherings are illegal in Ghent but there was no police presence.